Thanks to all our customers who successfully accomplished their projects with our servers. Without your support, we wouldn’t be able to evolve and grow in the past 20 years. That is why you deserve some true anniversary bargains! Our attractive Windows-2016-Server-Packages have the speed, performance and power to take your project to the next level! Moreover, you can take a look at our anniversary offers: all Dedicated Servers are without setup fee, Blue Line Servers now have a comfortable IPMI interface, 20% permanent discount on all Red Line Servers...Look around, grab one of our offers and celebrate with us! You get 20 years old only once! + Plesk Onyx Web Admin free of charge! Plesk Server Solutions – start fully equipped! Your motto: Ready to go? We now offer small and medium businesses along with agencies, developers and other web professionals the perfect complete solution with masses of pre-installed and pre-configured applications. 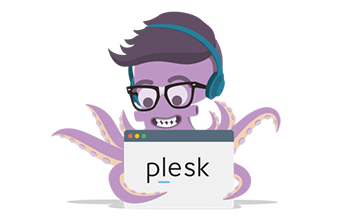 Complex configuration and administration is a thing of the past – discover the Plesk Server Solutions now! Tried and tested, also for challenging applications: Well-known quality manufacturers deliver reliable, stable performance at an unbeatable price. At SERVER4YOU you won’t find minimum contract lengths only month to month, because we understand how important flexibility is to our customers. The best conditions for successful projects: Our cirtual and dedicated servers offer reliable performance during peak demand, e.g. during traffic spikes. We offer pure dedicated server hosting without expensive extras. With us you are getting concentrated performance for all time low prices. Choose from our modern data centers in Strasbourg in France or St. Louis, MO in the US. Both data centers are independently audited and certified. Whether control panel, operating system or services, our server packages include everything you need to get your projects started. Start your nex project perfectly equipped! You may choose between various operating systems and applications. You get the latest and greatest operating system free* of charge. You may select the OS of your choice through your customer panel once your server has been activated. The Linux distribution CentOS is known for its outstanding stability and long maintenance periods. It is based on and completely binary compatible to Red Hat Enterprise Linux (RHEL). That offers you the possibility to use the complete functions and features of RHEL without having to sign an extra support contract with Red Hat. Debian is one of the most popular and widely spread Linux distributions that is used as a foundation for many others. It is known as extraordinary stable and includes a myriad of apps and tools. Debian is the benchmark in security and quality amongst other distributions and sets standards in the whole open-source community. The Linux distribution Ubuntu is based on Debian and published by the company Canonical. Ubuntu is a well matured operating system with an easy handling and perfectly coordinated software components. The server version of Windows 8 offers you an established operating system with many professional features. For example you benefit from a lot of new features and improvements in virtualization, memory, management, network and access security. You can add your Windows Server license through the PowerPanel for € 20/ Month. Our 'server deal' servers only support Windows Webserver 2008 R2. FreeBSD is one of the largest open source projects. The server operating system runs on numerous platforms, impresses with powerful network, security and storage functions and is also suitable for very extensive web presentations. FreeBSD's source code has been continuously developed and optimized by a nearly 400-strong developer group for more than 30 years. Scientific Linux is a Fermilab sponsored project. Driven by Fermilab’s scientific mission and focusing on the changing needs of experimental facilities, Scientific Linux should provide a world class environment for scientific computing needs. Performance, reliability and stability at affordable prices. Our server hosting includes a fast network connection and guaranteed availability, so you may concentrate fully on your projects. Our professional network guarantees you an availability of at least 99.99% on monthly average. When you have a question, just write us a message any time you want. Together, we always find a solution. We will gladly answer any questions you may have: From Monday to Saturday between 08:00AM and 8:00PM personally by telephone - and round-the-clock by email. *Only the data marked with * are obligatory, all other data are voluntary. Register for our newsletter to receive regular information about new products, the best offers, exclusive online bonuses and valuable hints and tips. We are happy that you like to read our newsletter! We have sent you a confirmaton email - please activate your subscription by clicking on the link. Thank you! Interested in one of our products? We can help! 2 Start new WhatsApp chat and send us a message. Business hours: Mon to Fri from 6am to Midnight CET.